You just got your housing assignment and you found out that you are in the “worst” dorm on campus. Commence mini freak out. I remember when I got my housing assignment, I was babysitting and trying to navigate to the housing portal on my phone while still watching the kids at the pool. I managed to get to it, only to find out that I was in one of the oldest dorms. I freaked out internally. At that point, I was devastated, but now looking back I think it was silly for me to act that way. 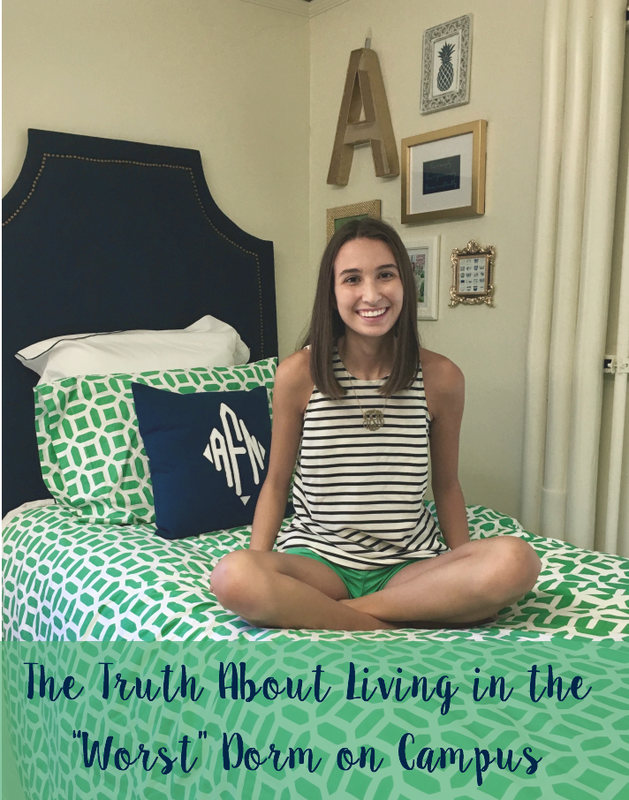 Living in the “worst” dorm on campus is in no way correlated to how great your college experience will be. The reality is that my room smelled weird no matter how much Febreze I used, I didn’t have a sink in my room, and the closet was half the size of most of my friends. But as a result, I was never in my room. I always wanted to be somewhere else. I was motivated to go to the library some nights, just because I didn’t want to be in my room. I was always doing things with friends because I wanted an excuse to be somewhere besides my room. So I guess in a funny way being placed in the room I was made me more social and more studious. But the other truth is despite the fact I was not living in luxury my room actually had a lot of perks. It was the closest to everything. My classes were a minute away and the dining hall 2 minutes. This definitely was a perk on those days when it was pouring rain or freezing cold. My room though not as new as my friends was bigger. I actually had floor space, and if my roommate and I really tried we could fit a blow-up mattress on the floor. This was great when we had guests, were packing up, or I was doing late night crafts(typical). Most importantly, our hall was a family. We were always in the lounges outside our rooms so everyone became really close. Unlike some of the other buildings where everyone was cooped up in their rooms and never really formed the bond that we did. One tip I do have if you are living in the worst dorm or really any dorm is to decorate. Especially decorate the walls. I think it is worth it to spend a little bit of money to help try and make your room a place that feels like home. I went back to my room every night and it made me happy. My friends who spent the time to put pictures up on their wall and have fluffy pillows on their beds always felt a lot more comfortable. And if your room is old and that shows cover up as much of it as possible. Hide the old, then you can at least try and pretend that it isn’t so bad. Dorm life was not always glamorous and as hard as I tried my room never looked like something from Pinterest. But it was comfortable and most importantly it was home. 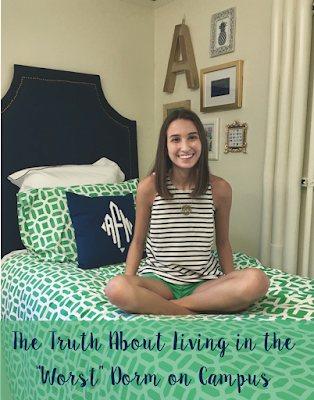 I learned a lot about dealing with imperfection from living in that dorm. And I wouldn’t have had my experience any other way. But most telling is that I even shed a tear seeing my empty room and walking out of that building for the last time as a resident. It was not perfect but it was my home away from home, Johnson Hall forever.